Christmas celebrations away from home can be unique and fun-filled at these top 10 destinations around the globe. 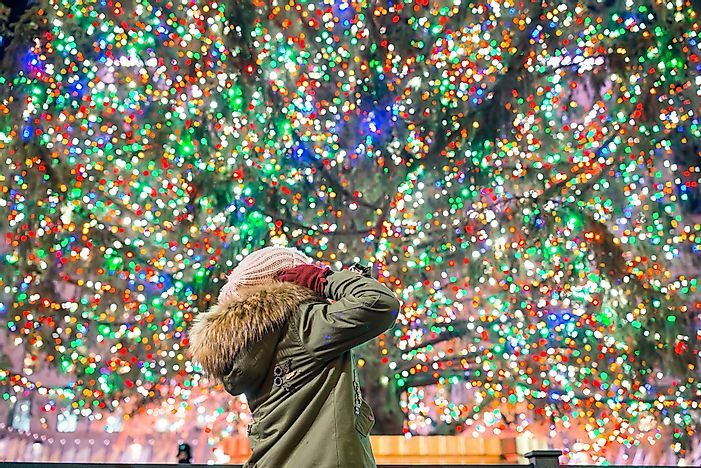 A girl marvels at the Rockefeller Center's Christmas tree. Christmas in Amsterdam is a lively and festive event filled with celebrations. Amsterdam comes complete with numerous Christmas markets selling treats, jewelry, and craftwork. The Amsterdam Light Festival brightens up the city, showcasing artwork from different light artists set in the city’s canals, roads, and squares. Ice skating is a favorite Christmas activity in the Dutch capital, with the spectacular ice rink at Museum Square attracting local and international visitors during Christmas. Tourists also enjoy fun-filled visits to the city’s prominent museums, zoos, and cinemas as well as canal cruising along the Amstel River. Christmas services are held in various Catholic and Protestant Churches around the city. 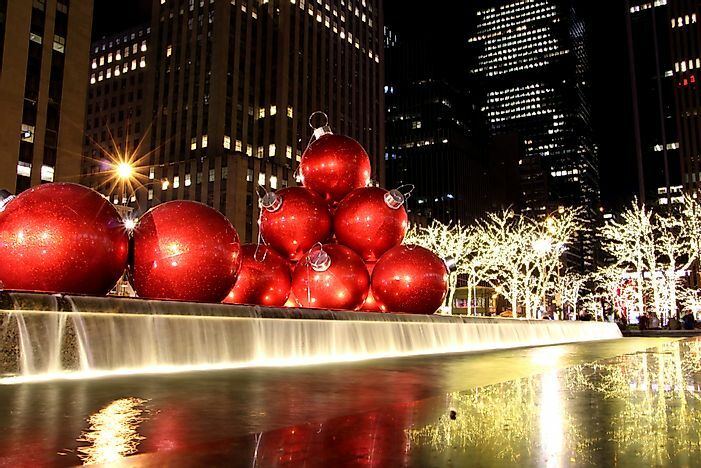 New York is undoubtedly the top Christmas destination, being home to the world’s tallest Christmas tree at Rockefeller Center. The tree is iconic as it is an 81-year old tradition. Its famous ice skating rink is overwhelmingly popular. Visitors can also indulge in ice-skating in Central Park and also enjoy rides on horse-drawn carriages. The Holiday Market exhibits an array of products while department stores show impressive displays from windows. 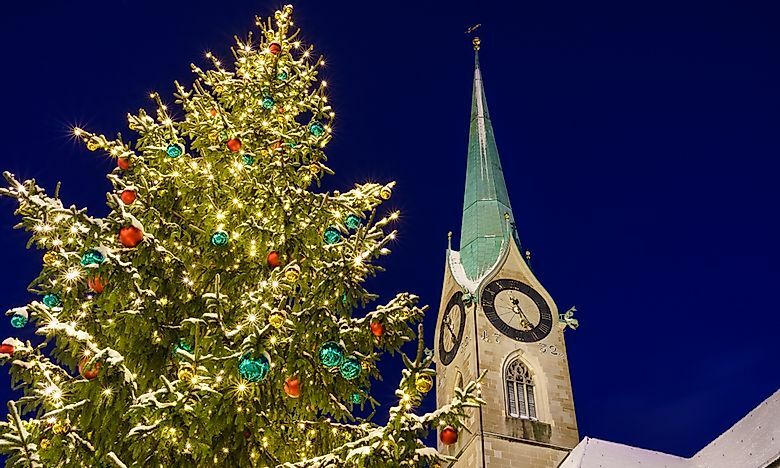 Zurich teems with Christmas markets selling an array of goods, from culinary delights to craftwork. Christmas lighting gives the city a festive ambiance, complete with a glittering 50 ft tall Christmas tree located at Christkindlimarkt at the Main Train Station. Spectacular Christmas traditions in the city include the Lichterschwimmen floating candles and the Circus Conelli on the Bauschänzli. 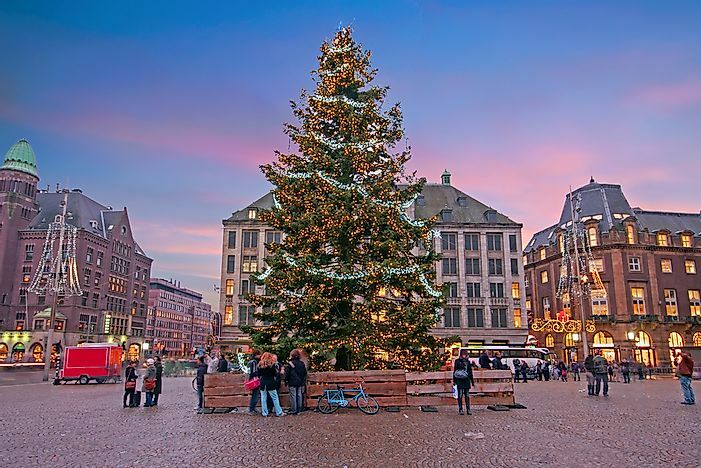 The singing Christmas tree on Werdmuhleplatz is a famous attraction in the city. The Christmas Valley in Laugardalur is one of ia kind, offering the best in Christmas decorations and lights. 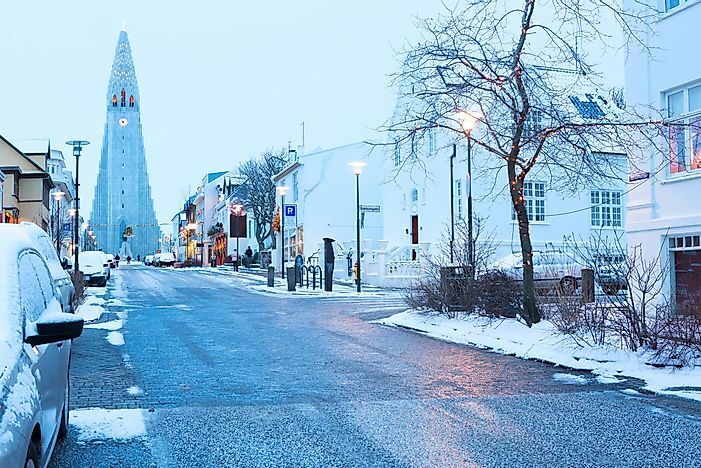 The Christmas holiday in Iceland is marked by concerts, various events, and numerous Christmas markets. The most colorful of the markets is the Yule Town Christmas market, where vendors sell treats, Christmas gifts, and decorations. Notably, there is the presence of 13 Yule lads, who are similar to Santa Claus but subscribe to old folk tales. The lads are said to gift good children in the 13 days before Christmas. The festive feel in Reykjavik is completed by spectacular northern lights. Editorial credit: Matjoe / Shutterstock.com. The state of Goa in India prides in beautiful beaches, a favorable climate and a breathtaking environment. 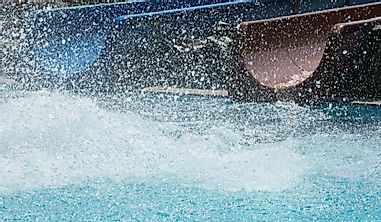 Like other parts of the world, it experiences winter during Christmas and boasts a warm and sunny climate, convenient for water sports. 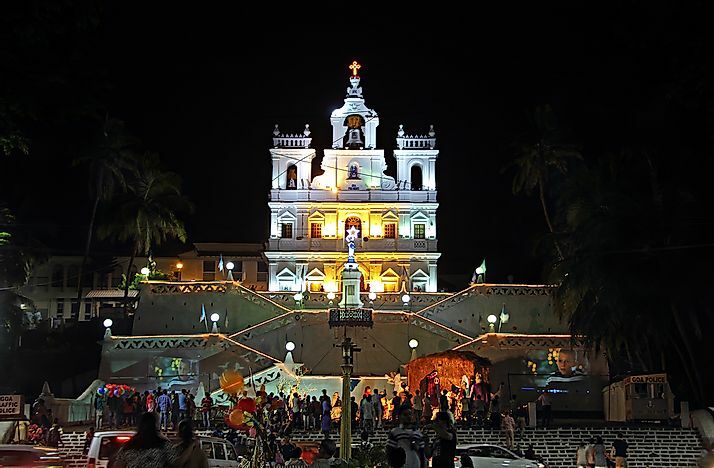 Christianity is the dominant religion in Goa, and services are held in important and historic churches including the Basilica of Bom Jesus and Church of St. Francis of Assisi. The beaches of Goa are a favorite Christmas spot and are lighted by fireworks during the Christmas celebrations. The cuisine offers an impressive array of seafood. Music festivals further serve to enhance the city’s festive scene. The city of lights has rightfully earned its place as a top Christmas destination. The city’s renowned attractions, including the Eiffel Tower and Disneyland as well as ice skating rinks and merry-go-rounds, become jam-packed. The city’s monuments, streets, and shops are illuminated such that the city appears to glitter. 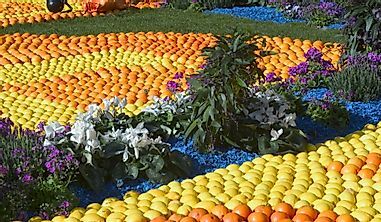 Nativity scenes characterize masses at the city’s churches, and shows and concerts attract huge crowds. 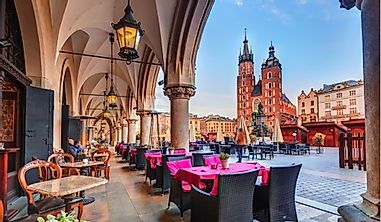 Traditional markets, as well as department stalls, teem with activities as shoppers go for gifts, treats, and luxury goods. 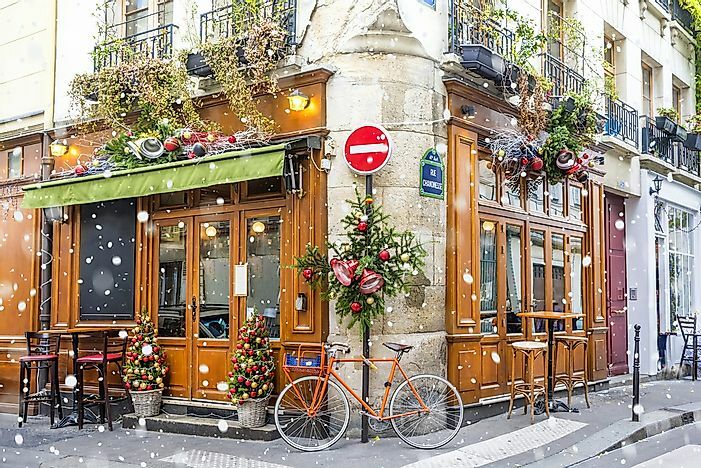 The best of French cuisine in the city’s restaurants give revelers the ultimate Christmas experience while the streets of Paris glitter with lights to create a romantic feel. The Christmas tree in Saint Peter’s Square proudly announces the advent of Christmas. Nativity scenes in Rome’s Churches are particularly spectacular, and Christians flock into the city’s iconic Churches such as Santa Maria Maggiore for masses. Christmas markets, notably the Piazza Navona, exhibit an array of gifts, food, craftwork and decorations. Street performers lighten the Christmas spirit, performing a range of Christmas carols. 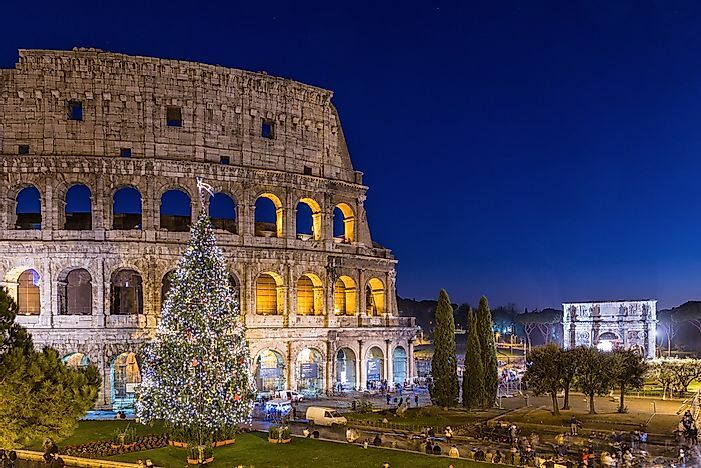 The city’s streets and monuments are further adorned with Christmas lights to give Rome a celebratory mood. An outdoor ice skating rink, set up near Castel Sant’Angelo, is a popular attraction as well as the city’s museums. The city of Edinburgh has a lot to offer tourists during the Christmas season. Christmas in Edinburgh commences with the switching on of Christmas lights. Church services and nativity scenes attract hundreds of church goers while the Christmas markets serve the best of Christmas delights. 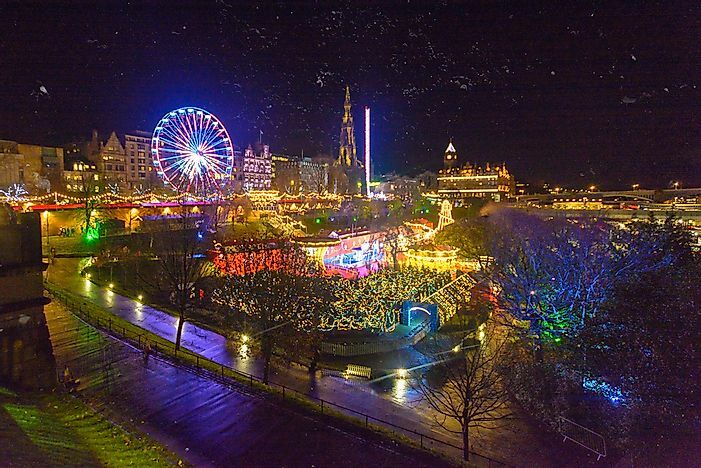 An array of concerts, shows, street parties and fireworks make Edinburgh the ultimate Christmas destination. Lapland in Finland presents itself in vast expanses of snow, unique wildlife, and breathtaking landscapes. 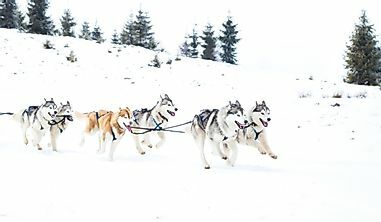 A sled ride pulled by reindeer or huskies gives revelers unforgettable safaris. 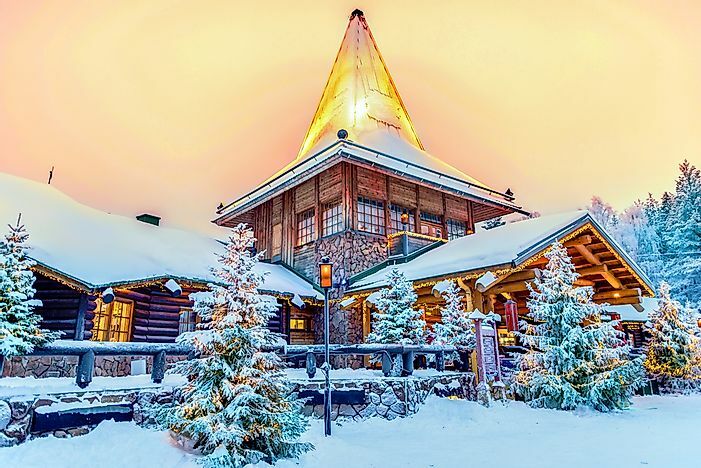 Lapland is home to the Santa Claus Village which houses the official Santa Claus’s Office, where visitors flock to meet Santa Claus. The Arctic Circle is visible and visitors shop in the themed shops that dot the region. The city’s unique wildlife is exhibited in the Ranua Zoo, and the mystery of the northern lights is revealed in the Arktikum Science Center. 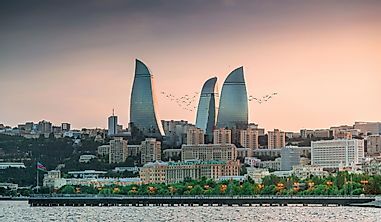 Editorial credit: Diego Grandi / Shutterstock.com. Quebec City is well-known for its resemblance to European cities. 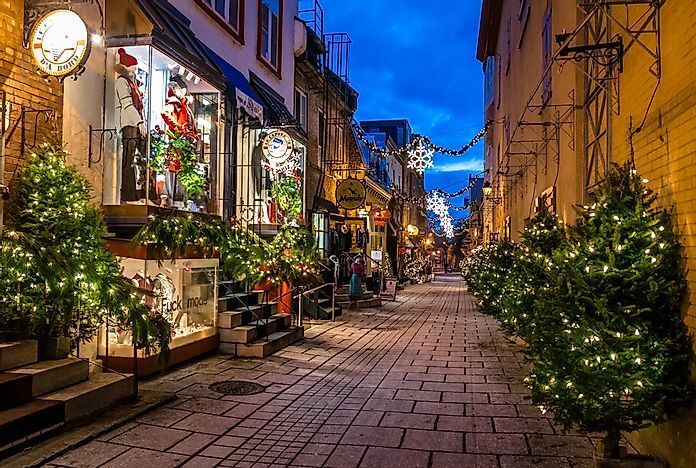 During the Christmas season, Quebec City comes alive with lights, decorations, and snow. The German market teems with illuminated wooden booths which sell a variety of culinary delights such as sausages and roasted chestnuts, while the Christmas market in the Old Port displays gifts, craftwork, and delicacies. Tourists enjoy strolling through the city’s streets which are spectacular with their lights and decorations. The Rue de Petit Champlain Street especially explodes with beautiful garlands and lights. The Quebec Aquarium exhibits a range of marine animals. 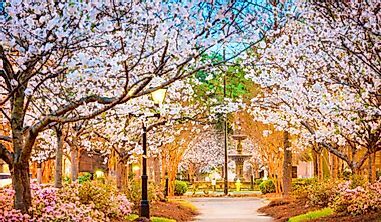 The city is a popular haven for environmentalists and enthusiasts of the Victorian era, who enjoy candle-lit evenings of stories from Charles Dickens’ books.